Heartworm is a serious illness that can cause heart failure, lung disease, organ damage and even death in dogs, cats and ferrets. Heartworm is most prevalent in pets living along the Atlantic Gulf coasts from New Jersey to the Gulf of Mexico, and in those living alongside the Mississippi and its main tributaries. However it has been found in pets in all of the US States. Heartworm is caused by parasitic worm larvae that lives inside mosquitoes. When the mosquito bites an animal it transfers some worm larvae into it where the larvae then matures, mates and produces offspring inside its living host. The offspring produced by female adult heartworms is known as microfilariae and lives in the host animals’ blood stream. When a mosquito then bites an infected animal it draws microfilariae into its body where it turns it into infective larvae, beginning the cycle again. Once an animal has been infected it takes time for the larvae to mature into adults that are capable of reproduction. In dogs this period is usually 6-7 months and in cats and ferrets around 8 months. Adult heartworms look like cooked spaghetti and can range in size from 4-6 inches in males and 10-12 inches in females. The number of worms found in a pet is known as its ‘worm burden’ and this can vary depending on the species of animal and the severity of the infection. The lifespan of heartworms within an infected dog is between 5 and 7 years and the average worm burden is 15. However dogs have been seen with worm burdens ranging from 1 to 250. The severity of the symptoms of heartworm in dogs is dependent on the worm burden of the animal, how long they have been infected and how well their body can cope with the disease. However it is usually broken down into four stages. Class 1: no visible symptoms or very mild symptoms such as an intermittent cough or wheeze. Class 2: mild to more moderate symptoms including intermittent coughing and lethargy or breathlessness after light to moderate exercise. At this time some heart and lung changes may be seen on x-rays. Class 3: symptoms will include frequent or persistent coughing, lethargy and breathlessness after mild activity. Heart and lung changes will definitely be visible on x-rays. Class 4: this stage is otherwise known as Caval Syndrome and is reached when an infected animal has been left untreated for an extended period of time. At this stage the animal experiences restricted blood flow to the heart caused by a blockage of worms. Heart failure is imminent and emergency surgery to remove the worms is the only course of action. However this comes with its own risks and most dogs with Caval Syndrome do not survive. Cats are naturally more resistant to heartworm and once infected the worms have a lifespan of only 2-3 years. Adult worms do not grow as long as seen in dogs, and fewer microfilariae mature into adults. Similarly there is much less microfilariae present in a feline blood stream – an average of only 20% compared to 80-90% seen in canines. Worm burdens are also much lower with an average of only 1-3 worms seen per cat. Many cats are able to rid themselves of heartworm before any symptoms become evident. However some infected cats have been known to die without presenting any warning or symptoms. Once a cat is bitten they will develop HARD – Heartworm Associated Respiratory Disease. During this time your cat will experience shallow, rapid or difficult breathing along with coughing and wheezing. The symptoms are not dissimilar to that of feline asthma or bronchitis. Other symptoms that may present themselves are very non-specific such as changes in appetite, lethargy and weight loss. This makes heartworm much harder to detect in cats. Ferrets are similar to dogs in that they are far more susceptible to heartworm than cats. Microfilariae levels found in the blood stream of ferrets is typically around 50-60% and they usually have low worm burdens. Symptoms of heartworm in Ferrets are very similar to that seen in cats with respiratory difficulties and fatigue being the most prevalent indications. However like their feline counterparts, heartworm in ferrets is difficult to diagnose. How to diagnose heartworm is similar across the species. Dog suspected to be infected with heartworm are usually given an antigen test. This is a blood test that detects proteins that are released by adult female heartworms into the bloodstream of the host animal. However this test cannot usually detect infections that are less than 6/7 months old as before this time as any microfilariae may not be fully matured. Other methods of diagnosis include imaging during which time x-rays or ultrasounds of your dog will be taken to determine if heartworms are present. Heartworm is trickier to diagnose in cats and ferrets and it is necessary to use a combination of blood tests and imaging to provide an accurate diagnosis of the disease. The FDA has a number of approved heartworm treatments available for dogs, the majority of which use arsenic which is effective at killing off adult heartworms. There are also several drugs which are able to eradicate microfilariae from your pets’ blood stream. Whilst there are no treatments approved specifically for cats and ferrets infected with heartworm, your veterinarian may be able to prescribe treatments approved for other species under ‘extra label drug use’. Talk to your veterinarian to discuss the best option for your pet. Any treatment for heartworms also poses a risk to your pet due to the toxic nature of some of the ingredients which have been known to cause life-threatening complications including blood clots. Diagnosis and treatment can also be expensive due to the number of tests and comprehensive care your pet will require. As with most illnesses, prevention is almost certainly better than cure. There are a number of preventative treatments available via veterinarian prescription including injections, oral tablets and topical liquids. 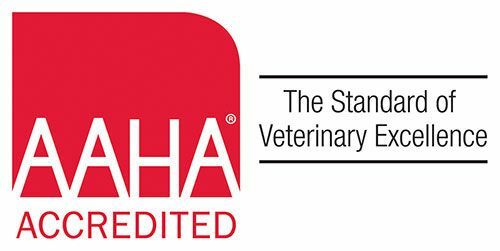 Pets older than 6/7 months of age should be tested for heartworm before beginning preventative treatment, whilst newborn animals can be treated right from their first vaccinations. Speak to your veterinarian who will be happy to advise you on the best course of preventative care for your pet. Are humans at risk from Heartworm? Heartworm is spread via mosquitoes and is not contagious. In very rare cases people can get heartworm after being bitten by an infected mosquito, but we do not make natural hosts and any larvae usually die before reaching adulthood. Monday - Saturday by appointment only.